Everything you Need to Make that Big Sale! Priority Sign can create a wide variety of vibrant Real Estate sign types and sizes on a collection of materials. Below you'll find a pricelist of our standard sizes and materials. 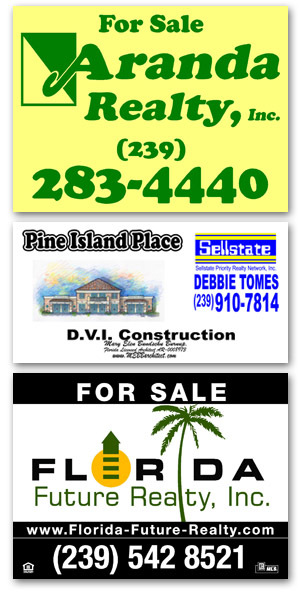 We can create signs in custom sizes as well, so please call if the sign you are looking for is not listed. ...and DON'T FORGET your SIGN RIDERS! 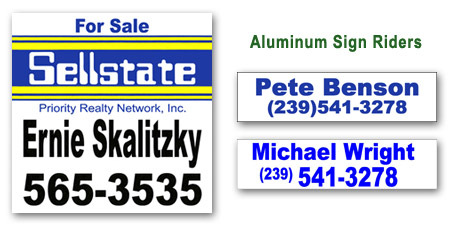 Aluminum sign riders are available in two sizes: 18 or 24 inches wide, by 6 inches tall. 1 to 5 $8.50 ea. 6 or more $7.00 ea.